The first thing I should note is that Rossmoor is actually not part of any particular city. It is a an unincorporated, census-designated area within Orange County. This unincorporated area is bordered by Seal Beach to the South, Los Alamitos to the East and North, and the 605 freeway creates the Western boundary. This affluent development consists of over 3,500 single family homes and boasts a rich and thriving community. Great schools, a public library, community parks and events are just a few of the joys that the residents of Rossmoor can take price in. The Rossmoor community has a rich and unique story. From sugar beats to annexation controversy, it's been quite the journey. Rossmoor falls within the Los Alamitos Unified School District. While Rossmoor itself holds 4 of the district's 6 elementary schools within it's boundaries, there is no middle school or high school in Rossmoor. After finishing elementary school, Rossmoor residents will go on to Oak Middle School and Los Alamitos High School to finish their primary education. 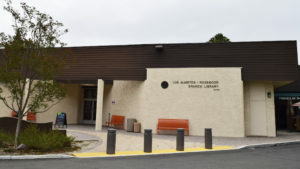 The Los Alamitos-Rossmoor Public Library is under the umbrella of OC Public Libraries. The library is located at the far Southwest corner of the "Shops at Rossmoor" shopping center. There is actually another organization called Friends of the Library that helps support the library in Rossmoor. The organization runs a book store directly adjacent to the library in order to raise funds. These funds are then used to support the library, cultural programs, and provide scholarships to high schools seniors in order to promote higher education. 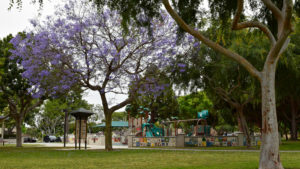 There are two public parks located in Rossmoor and maintained by Rossmoor Community Services District: Rush Park, and Rossmoor Park. There are two shopping centers associated with the town of Rossmoor: "The Shops at Rossmoor" and "Rossmoor Village Square." However, only one of them is actually within the boundaries of Rossmoor. This shopping center makes up the Northeast corner of the Rossmoor Community. There are several small shops and businesses located here including The Original Fish Company, which I have to say is my absolute favorite seafood restaurant in Orange County (so far). The Shops at Rossmoor are not actually part of the Rossmoor census-designated area. The center once was, for a short time, but was annexed by the city of Seal Beach in 1965. This is definitely the larger of the two shopping centers and includes many restaurants, shops (big and small), a pharmacy. It's your run of the mill "shopping center."